A few years ago, a friend recommended a “turkish pizza” place. I remember going to the website and thinking “what? eggs on a pizza?” I went, and it was plenty good. Fast forward to a few weeks ago, with coworkers on a work night. 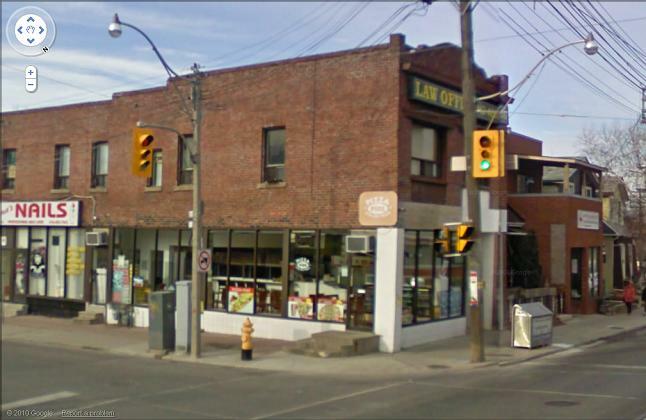 At the corner of Pape and Gerrard, there are no fancy signs, and would otherwise be written off as another independent “pizza joint”. My coworkers couldn’t even find the place at first. Very sterile and devoid of any ethnic markings, there’s seating for maybe 20 people. Orders are made at the counter, and pay when you leave. They were very helpful in suggesting items to order, and noted that the entire menu is non-pork (and possibly halal?) – even the salami was made from beef. The metal oven has plenty of space for several pides as once. 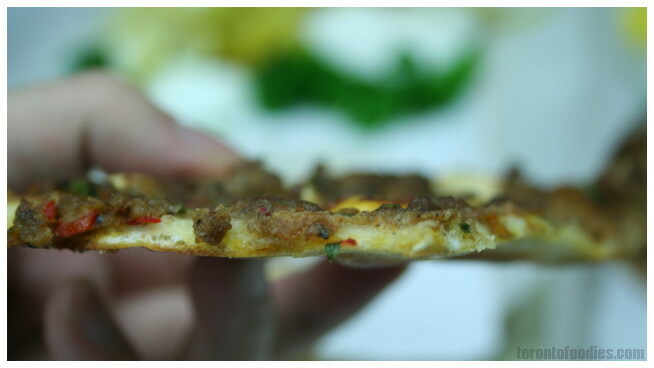 The pides are long narrow flatbreads, almost like a thin-crust pizza. Each plate comes with a few lemon wedges, tomatos, onions, pickled peppers, and parsley. 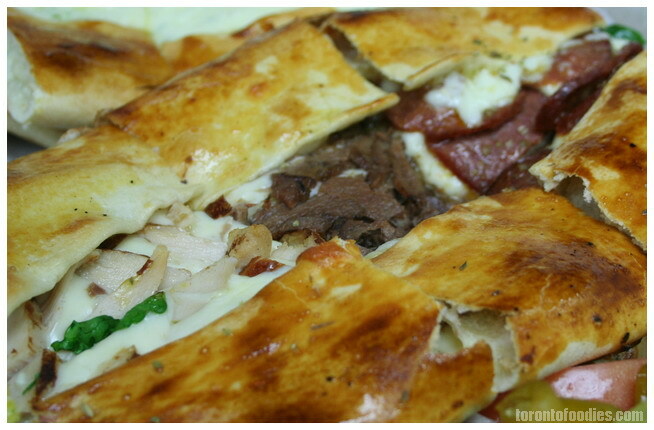 Each pide is enough a person with a healthy appetite, but probably not enough for two people. 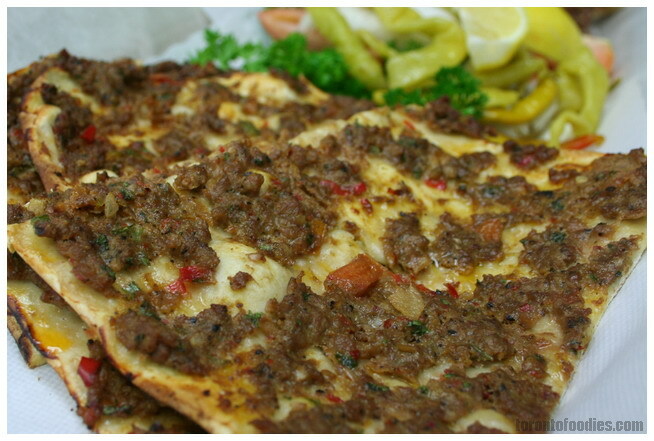 Lahmacun (#1 on menu, $6.99) is a spicy ground beef blended with spices. The meat is extremely flavourful, especially if you squirt just a little bit of lemon on top. Very little extra crust at the sides means you’re getting mouthfuls of flavour in every bite. 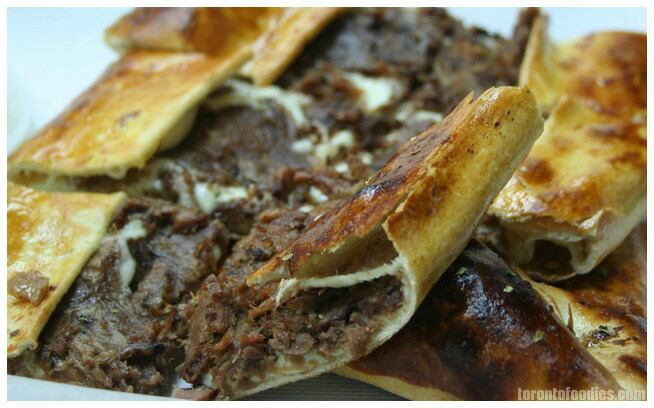 Their classic pide, you can’t go wrong with this. Very thin, nicely charred underneath. The texture is soft, with some crispiness – it’s not too chewy, it’s not too crunchy. Sucuklu Kasarli (#11 on menu, $8.99) is Turkish sausage with cheese. We asked them to put an extra egg on top. 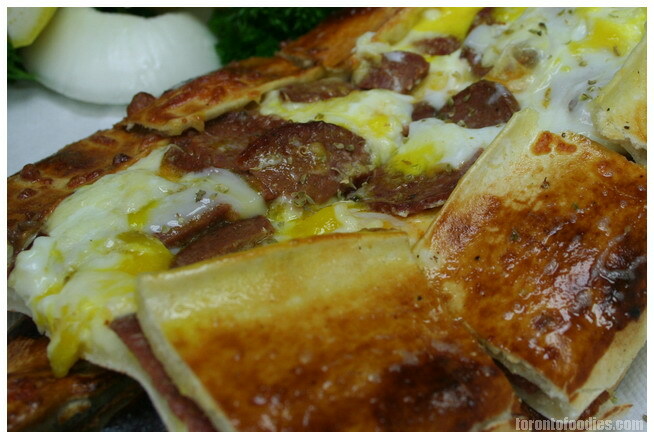 Some of the pides are thicker, especially when there is cheese or eggs on top. They’re folded to make sure the cheese and eggs don’t drip over the side. This combination was like eating a hand-held breakfast with every bite .. savoury beef sausage with eggs, with a nice mild chewy mozzarella. Also an all-around winner. 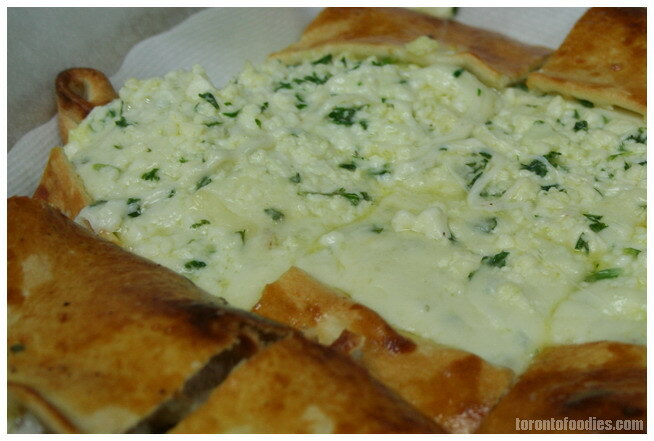 Beyaz Peynirli (#15 on menu, $8.99) is a Feta and Mozarella pide, with just a bit of herb seasoning on top. It’s a very light feta, for anyone worried about intense cheese. It’s great for cheese lovers, but I found it a bit much, especially for a whole pide. Kavurma Kasarli (#10 on menu, $9.99) is Roasted Lamb with Mozzarella. The lamb flavour is very muted and subtle, so it’s not overwhelming at all. The flavour was exactly like eating Corned Beef Hash, the type you would have at breakfast. I found the mozzarella a bit much much again, so I may order it with an egg instead of mozzarella next time. Karisik (#18 on menu, $9.99) is the sampler of several different flavours: the spicy beef, the chicken, the spinach, and the turkish sausage. 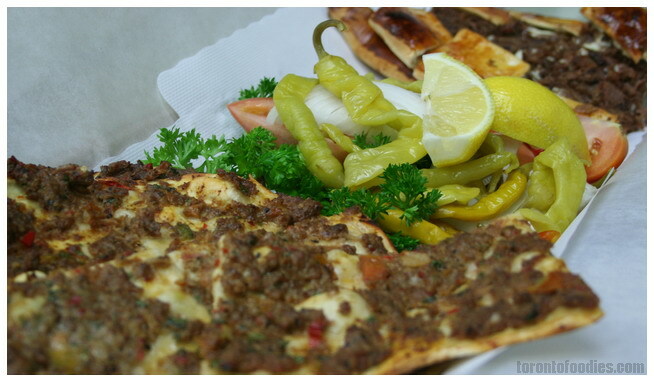 A good item to order if you want variety, but note that it’s a rolled-up pide, so it won’t be quite the same as the classic Lahmacun spicy beef pide (#1).